How do I get my baby to sleep? Expert tips and products that might help. As a midwife, I know the uncertainty that can plague the mind of an expecting mother, not just during birth, but also what comes after you have welcomed your new life into the world. As a mother, I know that no matter how much planning you do, your baby will have other ideas, so just take each day as it comes and know that you are doing a great job. Welcoming a new baby into the family is probably one of the biggest routine shakeups anyone will go through and while this will be the most exciting time of your life, it will also be one of the most draining and can take some time getting used to. Alongside mum dealing with the emotional and hormonal changes that come with the postpartum period, there is also the pressure on all family members to be flexible as the baby begins to synchronise their routine with the family. It helps to have a supportive network of people around you to get through those tougher days. Instilling a new family routine can be a very challenging process and with all these changes occurring in the household, the need for sleep is more important than ever, both for our newborns but also for ourselves. If this is an area of concern for you, read on to discover my tips to squeeze in the rare commodity that is sleep during the early days of your child’s life. 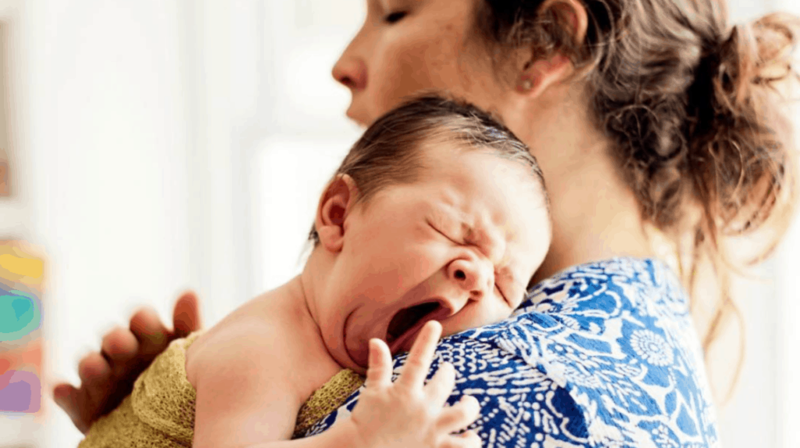 As we try to instil a regular sleeping pattern for our newborn babies, it is important to understand that our babies will not know how to “follow a routine” like we are used to. This little person’s brain is still developing and the baby’s needs are very basic at this point in time. These needs will include food, warmth and overflowing amounts of love from you and your family. The softest approach for Mum and bub is to work around the sleep of your baby. This may mean in the first few days or weeks after birth, Mum will have an early dinner and head off to bed around 6pm. During this time, your partner can cuddle, hold and settle the baby as you bank some hours of well-deserved rest. This might feel a bit strange for Mum but those hours of sleep that are gained before midnight are very restorative as newborns tend to feed every 1.5-3 hours, so there’s no doubt that you will be waking up when the rest of the world is asleep. Understanding and preparing for a change in your sleep pattern is the best preparation you can give yourself when introducing a newborn into the family. Often babies start to find their own natural routines by the 6-week-old mark. My best advice to parents who are getting their zzz’s but are feeling sleep deprived is to try and get outside each day for some gentle exercise, consume a well-balanced diet and continue to stay hydrated. This will help you to maintain a clear and level head (and keep your sanity!) As a Midwife and mother, I often remind new mums that the days are long but the years are short, so all the sleepless hours working around your baby are well-worth the sacrifice. Although I do not believe in the early days that you need a strict routine, you can start early by introducing a pattern around preparing your baby for sleep. Before putting your baby to bed for the night, having a regular before-bed routine might be a warm bath, wrapping them in a swaddle and feeding them in nice darkened room. By regularly doing this and introducing a pattern, your baby will start to understand and know this is a sleep time cue and form a strong association that it will soon be time to get some shut eye. Nap times during the day might be prompted by a feed, a nappy change, a swaddle and a little song, pat, rock – whatever works for you and bub. It is important to remember that it is okay if bub needs extra assistance in the early days, as they will soon learn to self-soothe and go to sleep by themselves. Getting out of the house and going for a walk was my sanity saver when I had a newborn. Not only did it give me moments of peace, but my babies enjoyed it too. It’s amazing to think that such a simple activity incorporated so many things I needed, including putting my babies to sleep. The steady motion of the pram was a guaranteed way to get both my kids to fall asleep and I loved getting outside and into the fresh air while enjoying some light exercise. You will need a safe, sturdy pram to take bub out for regular strolls. Remember, gentle walks don’t have to be confined to daylight hours, as walking your baby of an evening can actually help set them up for the night time routine. Bugaboo prams are top of the line for comfort and their new Stellar pram has reflective accents so you can be safely seen when walking with bub, even once the sun has set. So if you are finding a warm bath and feed isn’t enough, a 6pm stroll might do the trick. 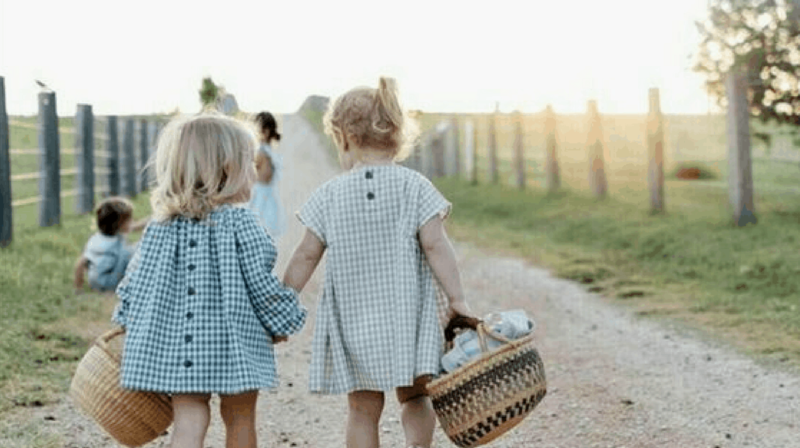 This also means hubby or a friend to take baby for an evening walk while you rest and recover from the craziness that is motherhood. Swaddling newborns keeps them warm and comfortable, helps them relax and settle for sleep and can reduce awakenings. Lightweight cotton and muslin wraps are the best for comfort and to avoid overheating. The swaddle technique can be tricky to master, so fitted wraps are also gaining in popularity. 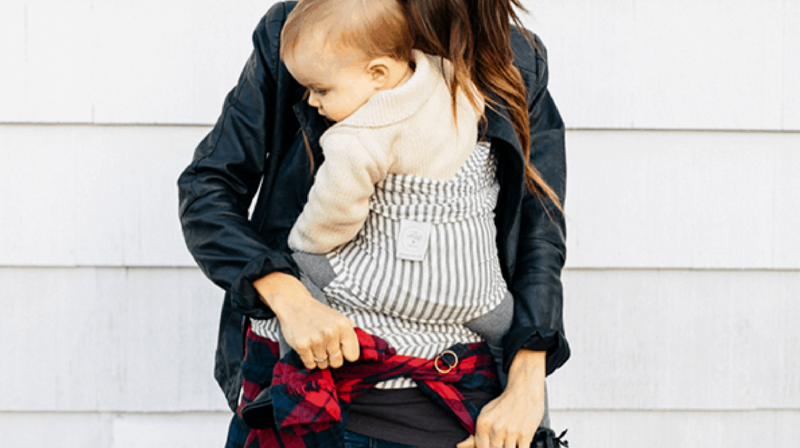 Much like we have our favourite pair of trackies, our babies will become accustomed to their favourite wraps, so when you find something they like, stick with it! Darkness is a great way to signal when it’s sleep time for both night sleeps and daytime naps. These can help settle a baby for a day time nap and are especially helpful in the early days as a safe place to lay your newborn. Many new mums find them useful to bring into the bathroom when they have a shower, so you know if your baby is stirring from a nap. The calming scent of lavender sets the mood from bath to bedtime and sweet dreams will follow. 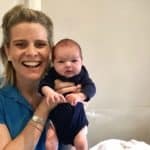 Edwina Sharrock is the founder of Birth Beat, the online antenatal education portal providing childbirth education as well as baby and child first aid for new and expecting parents. Edwina is also a Registered Midwife and Mother of two.